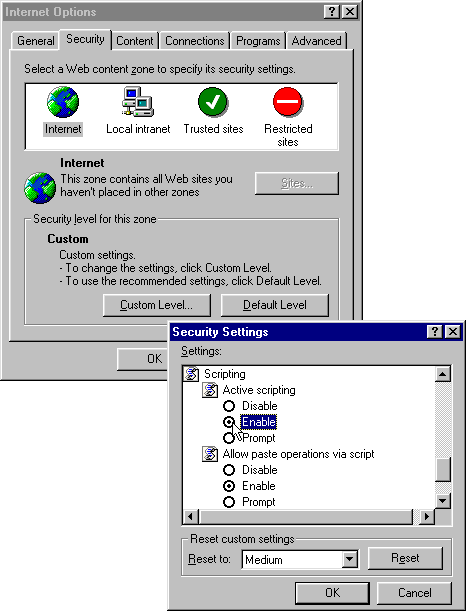 Click the "Internet" symbol (a globe). 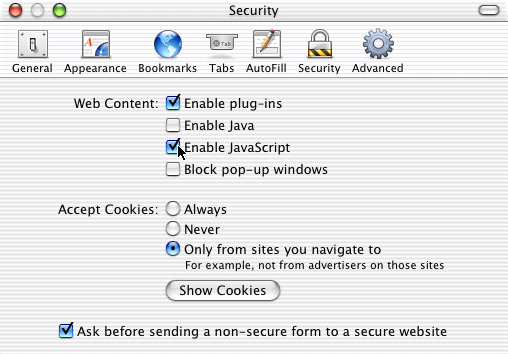 Click the "Custom Level…" button, to open the Security Settings dialog box. 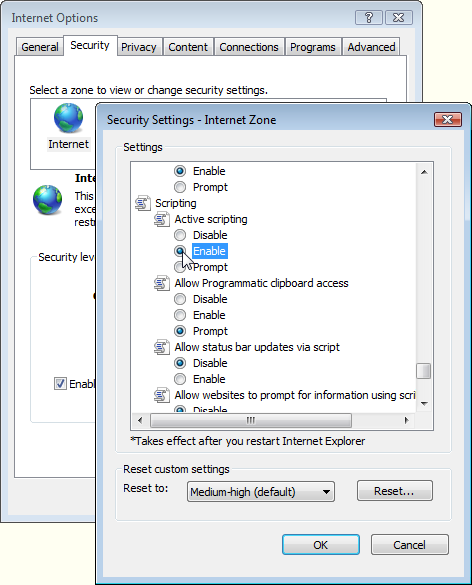 Select "Internet Options…", to open the Internet Options dialog box. 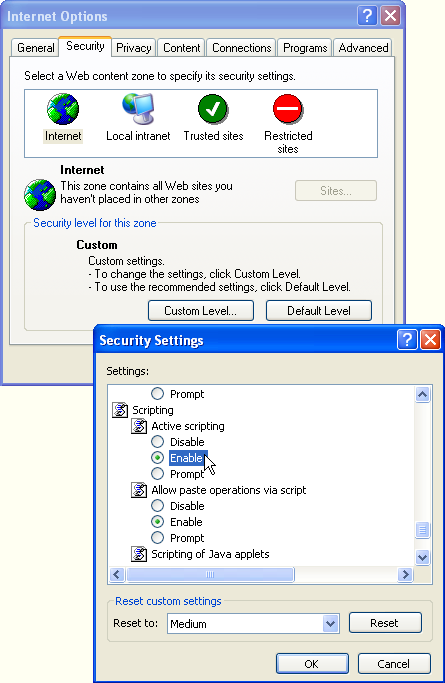 Select "Options…", to open the Options dialog box. In the row of coloured icons at the top, click "Content". Click "OK" to close the Options dialog box. 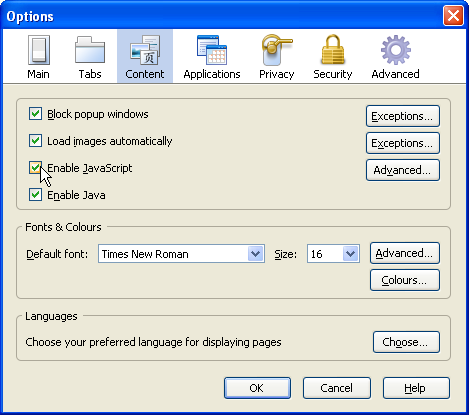 Open the "File" menu (version 6) or the "Tools" menu (versions 7, 8 and 9). 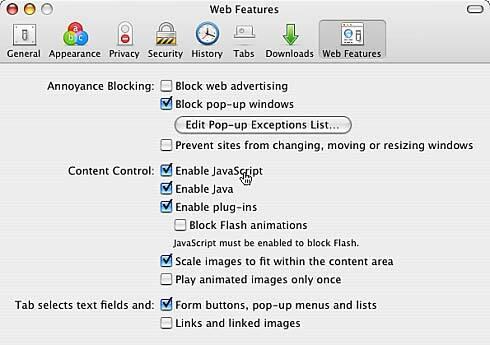 If you are using Mac OS X, then you need to select "Quick preferences" on the Opera menu, instead of the Tools menu. Open the Safari menu (OS X), or the "Edit" menu (Windows). 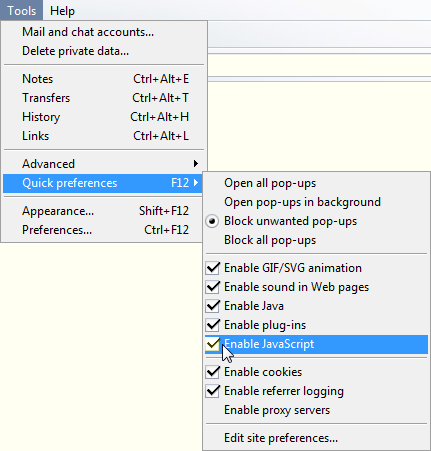 Click "Preferences…" to open a dialog box. 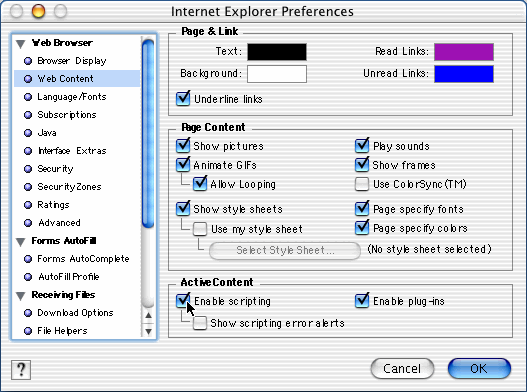 Open the "Edit" menu (Windows), or the SeaMonkey menu (OS X). 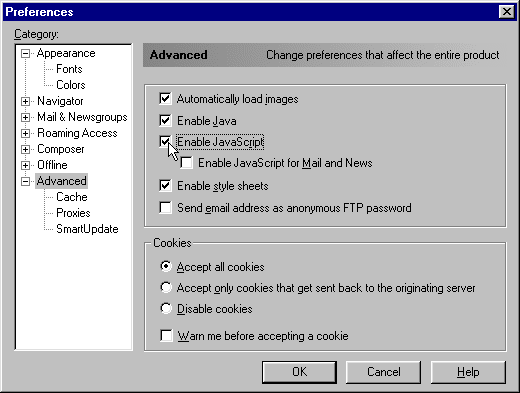 Select "Preferences…", to open the Preferences dialog box. In the Category list, click the "+" sign next to "Advanced" so that a list of items appears. 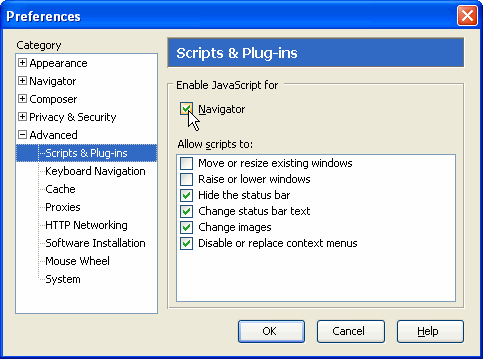 In the list of items beneath Advanced, click "Scripts & Plug-ins".